A sight that will no longer be seen on Nottingham’s streets will be that of the bendybus, which bowed out of service with NCT last week, after 13 years in service. 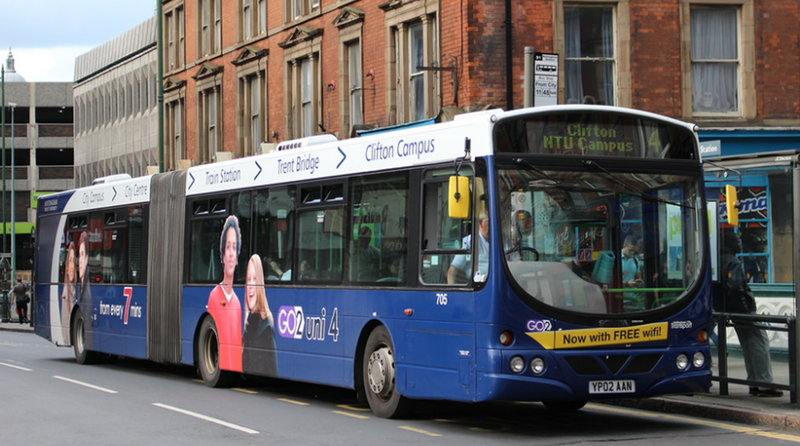 Having spent their time serving various parts of the extensive network, the buses have seen use on Go2 Uni route 4 (formerly Unilink 4) for the past 9 years. The route will see double-deck operation from the next academic year, making the articulated beasts surplus to requirements. NCT did make a fairly big deal about their withdrawl; certainly a bigger one than the Tridents that had provided an equal length of service that were also withdrawn in the same week. The reason; it is unlikely Nottingham will ever see such vehicles again. 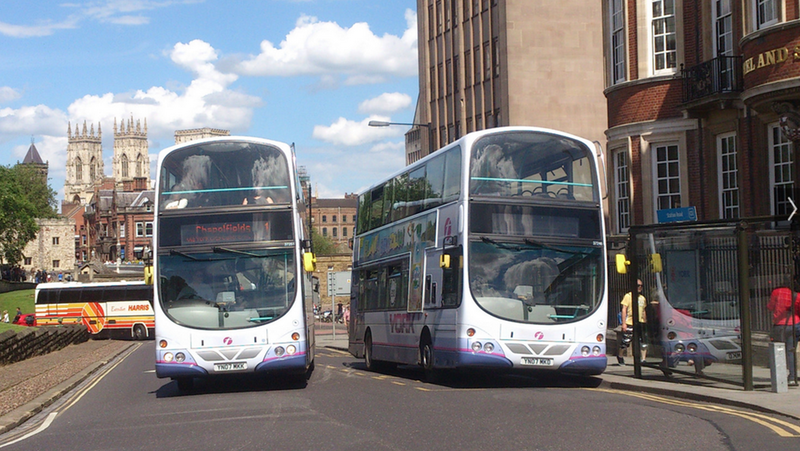 The Scania articulated buses were given a fond farewell from the streets of Nottingham by all accounts. Certainly more so than their London cousins. Boris Johnson’s dislike of the bendybus was well known and as part of his election pledge in 2008. Three years later they were no longer present on the streets of the capital. Johnson claimed that they were not suitable for the streets of London due to their length and the danger they posed to other road users, particularly cyclists. Whilst compounds across the country remain filled with the London rejects (including one near Stafford), some have found use elsewhere; Leicester being one example, where former London Bendybuses shuttle students into the City Centre. However, they haven’t always been any more popular in their new homes than they were in London. The batch that went to Malta were unreliable, unpopular and seemingly highly combustible. One now famous photo showed the result of when a driver attempts to do a ‘U-turn’ in one, resulting in the bus clogging up the entire road. Back home, Go-North East fell out of favour with theirs on their Citylink 58 route, opting instead for rigid Optare Versas. The main benefit of the bendybus is the overall capacity. A London specification Citaro seats just five more than Trent Barton’s Wrightbus Eclipses, however with a generous standing capacity. A double deck bus’ inability to have standees on the top deck results in the bendy bettering it in that regard. 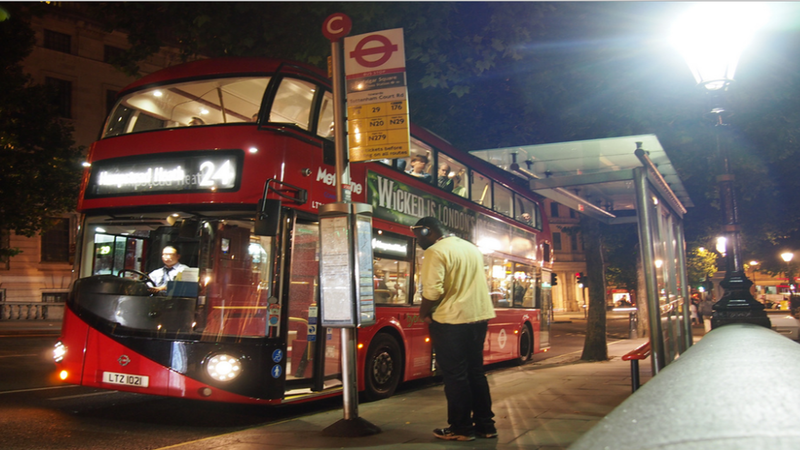 It means that they are ideal for busy routes where customers are not on the bus for a significant period of time. This is a very particular type of route and it is this lack of versatility that is why so many of the buses are sat out of use up and down the country. The other is the sheer issue of size; they are long and difficult to manoeuvre; they simply are not suitable for certain roads. Which leads me nicely to their use in York. 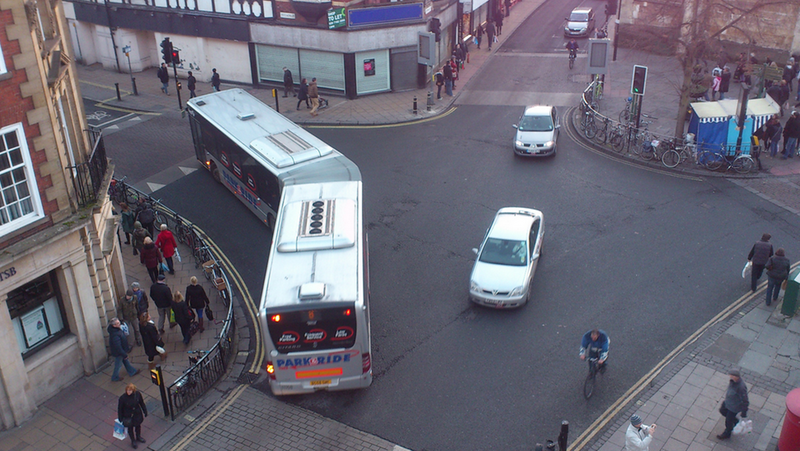 York is one of the few places across the country where Bendybuses were bought specifically for the City, as opposed to being London cast-offs (or in the case of Leeds, York cast offs.) The 15 strong fleet of Mercedes Benz buses are used exclusively on four of the city’s six park and ride routes; three routinely and the fourth during busy periods. 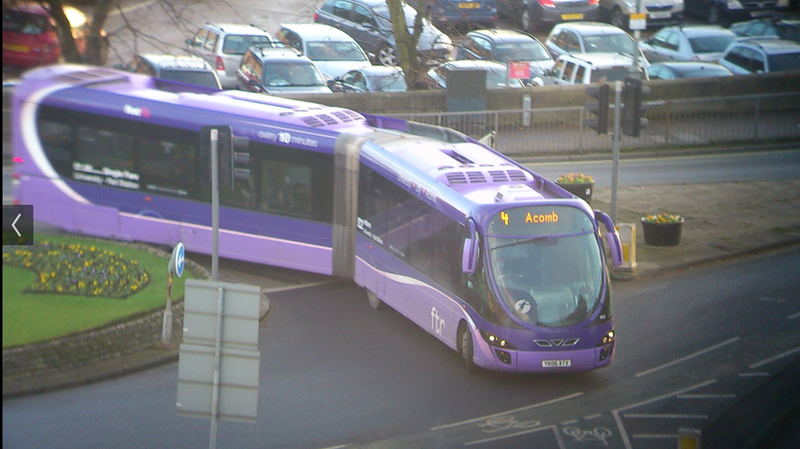 They therefore use roads across the city and throughout the ancient city centre; the same city centre that apparently rendered the ‘Ftr’ buses unsuitable a few years ago. The Ftr scheme ended after pressure from the City Council who felt that the size of the vehicles meant they were unsuitable for the city. So if these buses are too big, then are the Citaros as well? I'm inclined to say yes having watched a number on the Grimston Bar route negotiating their way through York’s tight streets yesterday. Yet, there is no uproar about them. How intriguing. Despite their widespread use throughout mainland Europe for quite some time now, the bendybus appears to have been a noughties trend that has fallen out of fashion and out of favour within the UK. The use of double deckers is instead far more widespread and arguably more practical for our roads. York, London and Nottingham are all cities where bendybuses have been replaced with double deckers and that is a trend I can see continuing. 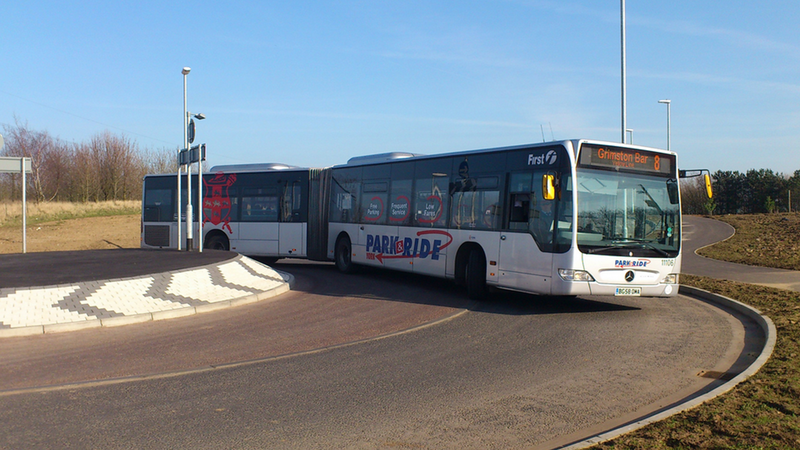 The older buses on York’s Park & Ride network are due for renewal; I will be somewhat surprised if new bendybuses find their way onto York’s streets. As ever, many thanks to Chris for the York photos and Matt for those of Nottingham and London.